CAT phones has just announced its new flagship product, the Cat S60 dubbed the world’s first smartphone with an integrated thermal camera, and the world’s most waterproof smartphone. The Cat S60 includes an embedded thermal camera from FLIR, namely the Lepton Thermal Microcamera Module which is one of the smallest and most affordable thermal imaging sensors on the market, though it is also a bit limited in terms of resolution and temperature range when compared to full fledged thermal cameras. Still the capabilities it offers are ideal for integration into multifunctional devices such as smartphones, allowing their users to get a more useful and functional portable device. The device will be unveiled at Mobile World Congress 2016, in Barcelona, taking place between February 22nd – 28th. 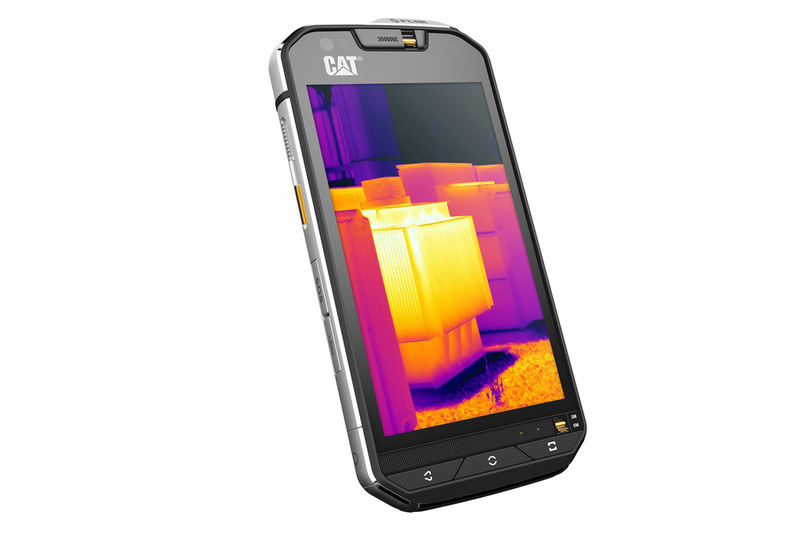 The embedded FLIR thermal camera in the Cat S60 allows the device to be easily used for things like detecting heat loss around windows and doors; spotting moisture and missing insulation; identifying over-heating electrical appliances and circuitry; and seeing in complete darkness. The thermal camera visualizes heat that is invisible to the naked eye, highlighting temperature contrasts. It can pick up heat and measure surface temperatures from a distance of up to 50 to 100 feet, and see through obscurants such as smoke, enabling a huge range of use cases for building professionals, utility workers, outdoor sports enthusiasts, and emergency first responders to name but a few. The Cat S60 is also waterproof to depths of up to 5 meters for one hour, allowing it to be used as an underwater camera, pushing the boundaries of mobile technology, and how and where it’s used. 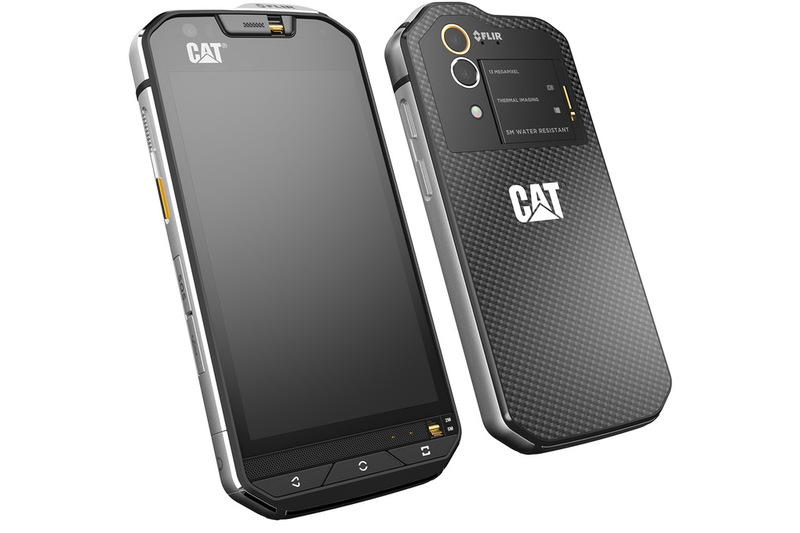 The Cat S60 is also an extremely tough and robust, world class rugged smartphone. It exceeds military spec, is built to withstand drops onto concrete from up to 1.8 meters, and it’s dustproof as well as waterproof. Its versatile, super-bright display can be viewed in bright sunlight, and the touchscreen can be controlled with wet fingers or while wearing gloves. It is also protected by the latest Corning Gorilla Glass 4. It is not yet clear if the thermal imaging camera is based on the first lower resolution generation of FLIR Lepton thermal sensor or the newer higher resolution ones, but it seems that the output resolution is 640×480 pixels or with other words the thermal image will be interpolated as the actual resolution of the thermal imaging sensor is lower (80×60 or 160×120). The Cat S60 will be available later this year at a recommended price of €649 Euro and $599 USD depending on the region.